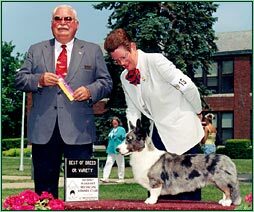 Gunny won the prestigious Megan competition at the 2003 National Specialty! Winner of multiple group placements. 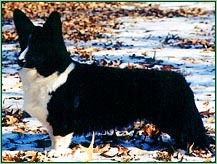 The winner of at least 7 herding groups, owner-handled all the way by his "mom," Chris Armstrong, Trooper was both a Delta Pet Partner and a Certified Therapy Dog, and was ranked in the top 5 Cardigans! 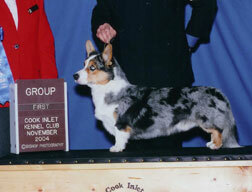 Award of Merit Winner, 2001 National Specialty -- at only 14 months of age! Thank you Mary Belloff, for letting us have our lovely Sapphire! 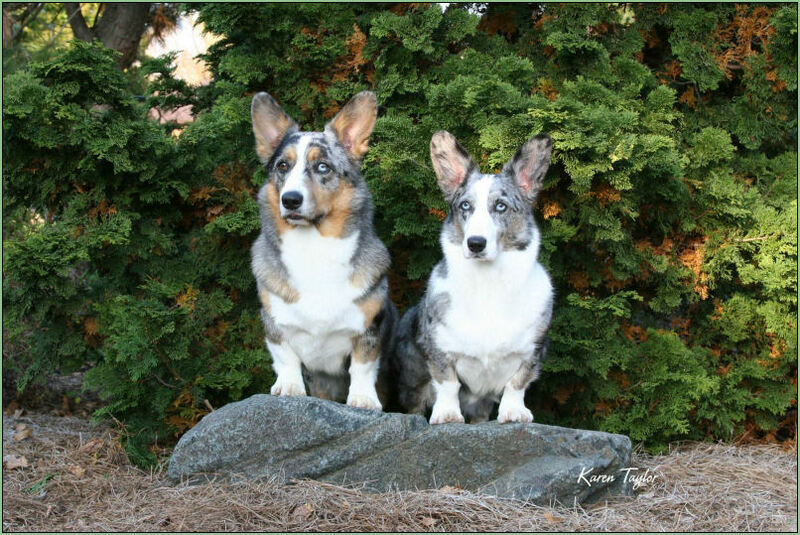 Sapphire, right, with her full brother Charles, Ch. Tafarnwr Prince of Wales OAP OJP HCT1, who is also a group placer, at age 9. Levi has won BOW, and two Awards of Merit at the specialty level. With very limited specialing, he is a multiple group placer, and is nationally ranked! 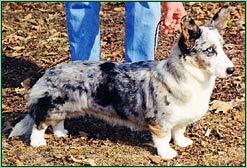 Levi is appreciated by both breeder judges and all-arounders alike. Owned and shown to his championship by Phyllis Cardoza. Expertly specialed by Kathy Steele. Go Coby! A group placer, and BOS at the 2000 Ohio Specialty! Destined to be a great one, we've given this well-known producer his own page. Proud owners/breeders: Debbie and Jimmy Cox. Cramer finishes with his 3rd major! 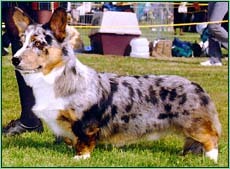 Owned and bred by Mary Lou Janssen. 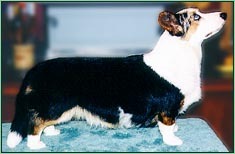 His litter brother, Tarzan, was Winners Dog for a 5 pt major at the 1999 California specialty, under breeder judge Pat Mann. Owned by Brooke and Becky Martin.